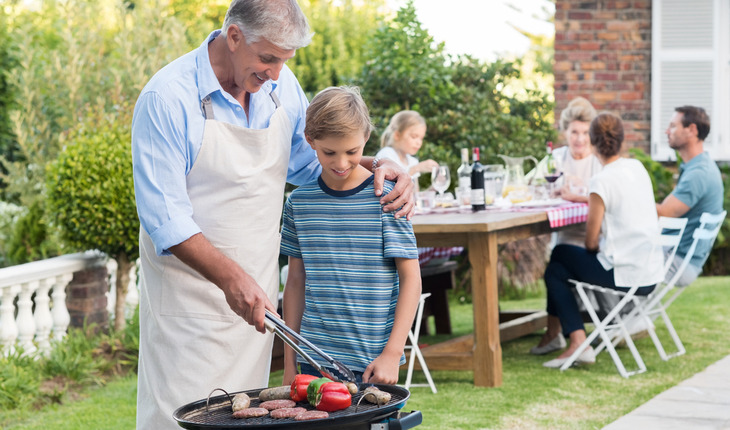 Now that the 4th of July has ushered in the plethora of outdoor barbecues and summer fun, I wanted to share some tips on how to enjoy a night out without worrying about adding on extra pounds. It is a very common question I often get asked from clients, as they want to know how to handle their weight loss plan when they are going out for a night and not in control of their food. Tip 2: Focus on lean protein throughout the day. Egg whites for breakfast, grilled chicken or shrimp for lunch, Greek yogurt or cottage cheese for a snack. Most meals out are loaded with fat as I stated above and we all know how easy it is to digest lots of yummy carbs. What most meals lack is protein, and while you may have some while you are dining out, we need a lot more than we think. So load up during the day! I know it may not seem like fun eating a bit more boring and bland food, but you and your waistline will be thankful for it later. You can do anything for one day in return for a great night out without the guilt and extra pounds! Tip 3: Limit carbs to vegetables, fruit and other low carb options. Vegetables are high in volume, meaning we get a lot for a little. A lot of food, a lot of chewing, and a lot of fiber, which keeps you full, for very few calories. Pair your lean protein from tip 2 above with an oversized salad for lunch. Try to stay away from fattening dressings. Berries are a great option for staying low carb. Pair it with Greek yogurt for a delicious high protein snack. Berries are high in fiber as well, and are also high volume and low carb/calories. Rice cakes are another low carb option that give you a big bang for your buck. I love the butter popcorn flavor – they have 8 grams of carbs, no fat and a good punch of fiber that will keep you full. Tip 5: Try to drink as much water as possible, especially if you are planning on having wine, beer or cocktails in the evening. While water is not a magic pill, it does make you feel fuller before a meal. In addition, alcohol dehydrates you, so if you drink copious amount of water during the day, you will be ahead of the game later on. Sloane Davis is a Certified Nutritionist and Personal Trainer who has helped thousands of people, both men and women, around the world get in to top shape both mentally and physically. Sloane has her undergraduate degree in Bachelor of Arts from Syracuse University and became accredited through ISSA with her degree in Sports Nutrition and Personal Training. She works personally and online with thousands of clients around the US and globally. She has been featured in People, Fitness Magazine, New Beauty Magazine, Apple News, The Daily Mail, Yahoo News, Westchester Magazine and Fox 5 Good Day New York. Please visit PancakesandPush-ups.com.